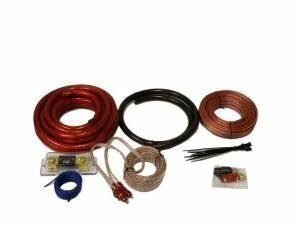 From this category you will find high quality hifi hardware like power kits, silencing mats and spare parts. 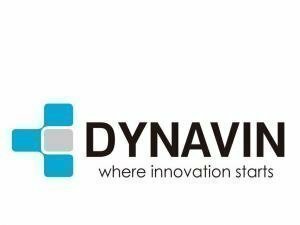 Products are available for example from STP, Ground Zero and Dynavin brands. 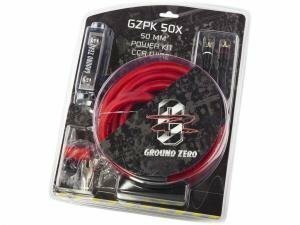 High quality Ground Zero GZPK 50X, 50mm car audio power kit for car hifi. 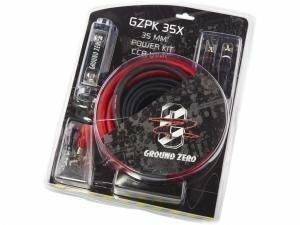 High quality Ground Zero GZPK 35X, 35mm car audio power kit for car hifi. 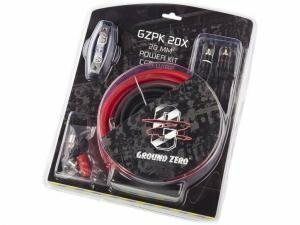 High quality Ground Zero GZPK 20X, 20mm car audio power kit for car hifi. 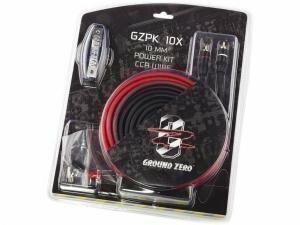 High quality Ground Zero GZPK 10X, 10mm car audio power kit for car hifi. 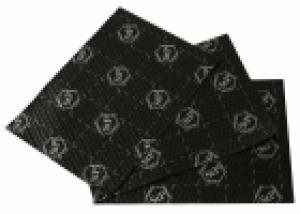 STP BOMB BULK silencer matt for car hifi 53 x 75cm (1,987m²), 4,2mm thicnkess. Includes 4 sheets per package. STP BOMB silencer matt for car hifi 37.5 x 26.5cm (0,398m²), 4,2mm thickness. 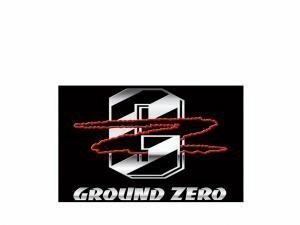 Includes 4 sheets / package. 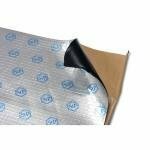 STP BP5L BULK silencer matt, 37,5 x 50cm (1,5m²), 5mm thickness. 16 sheets / package. 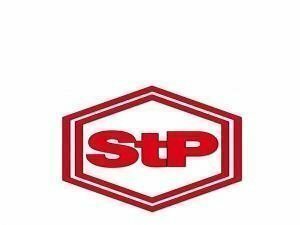 STP BTP5 BULK 5mm thick silencer matt 37,5 x 50cm (3,0m²). 16 sheets / package. STP AK15 15mm thick silencer matt 75 x 100cm (0.75m²), 1 sheet / package. STP AK10 10mm thick silencer matt 75 x 100 cm (1,5m²), 2 sheets / package. 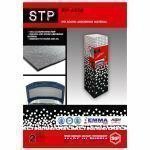 STP ALUM 0,2mm thickness aluminium sheets 50 x 75cm (1,193m²), 3 sheets / package. 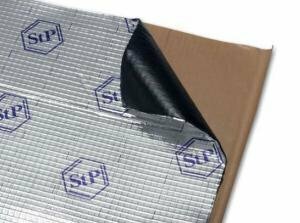 STP iSILVER SHOP PACK 1,6mm thick silencer matt 38 x 27 cm (0,8m²), 8 sheets / package. 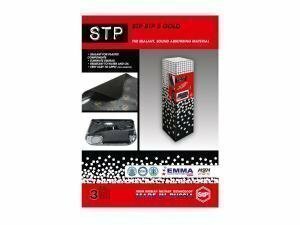 STP BLACK SHOP 1,6mm thickness silencer matt 38 x 27 cm (0,8m²), 8 sheets / package. 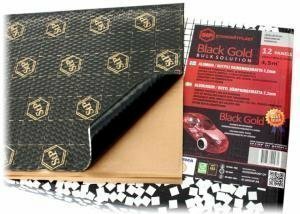 STP BLACK DOOR 1,6mm thick silencer matt 38 x 27cm (2,0m²), 20 sheets / package. Usean laadukkaan Hifimerkin lisäksi tarvitaan myös johtosarjoja, eristeitä jne. Jotta ääni rupeaa kulkemaan oikeissa paikoissa. Eristeet sopivat muuhunkin kuin autohifeille, esimerkiksi konehuoneseen, lokasuojiin ja muualle jossa resonointia halutaa poistaa.